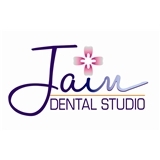 Sonal Jain DDS (Roselle Park) - Book Appointment Online! We take great satisfaction and pride in helping you maintain optimal dental health, restoring function , enhancing natural beauty of your smile. Our practice is dedicated to comprehensive and preventive dental care for the entire family. Safety of our patients and staff is our priority. We keep the facility clean and follow the guidelines for infection control set by OSHA and CDC. Our practice has continued to grow with referrals from our patients. Our greatest asset is the referrals that we get from our satisfied and happy patients. We would like to thank our existing patients for expressing their confidence in us. We try our best to develop long term and trusting relationship with all of our patients. We look forward to seeing you and welcome you to the family of our patients.